1. Clean your nails and cuticles everyday. 2. Cut your nails regularly. 3. Dip the nails in warm water for a couple of minutes before cutting. This will help to avoid breaking of nails while cutting. 4. Apply moisturizer every time you wash hands with a soap. 5. Do not bite your nails. 6. Use your own instruments for manicures to avoid infections. 7. Avoid using nail polish and polish remover too frequently. 8. Cut the toe nails straight to avoid inward growth (particularly, if you are a diabetic). 9. Have a balanced diet. Include a variety of healthy foods in your daily diet. 10. 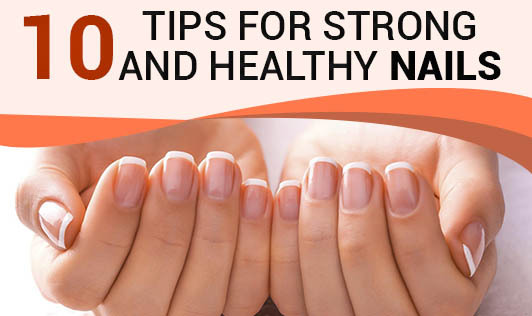 Have a glass of milk everyday to get good amount of calcium for stronger nails.